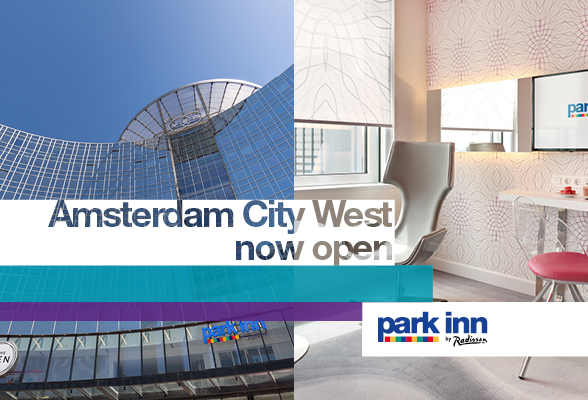 Radisson Hotel Group welcomed its 4th property in the Netherlands: Park Inn by Radisson Amsterdam City West. 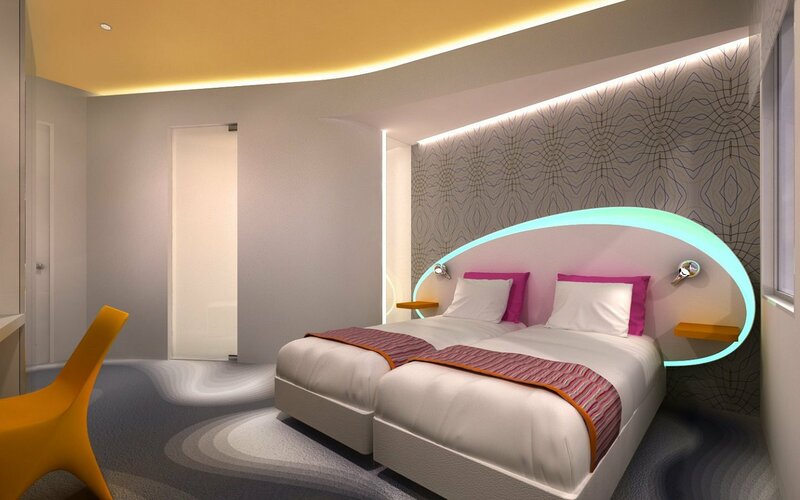 The hotel’s 476 rooms and suites feature the world-renowned designer Karim Rashid’s signature color scheme; bold, sensuous and spacious, beautifully spilled over curved walls. Park Inn by Radisson Amsterdam City West is located in Ven Amsterdam, the first mixed-use complex of its kind in the Dutch capital. The hotel is a short 5-minute train ride away from the city center and only a 10-minute train ride from Schiphol Amsterdam Airport. The hotel also provides parking for up to 200 vehicles. Park Inn by Radisson will offer the most colorful meeting rooms in Amsterdam. A 680sqm ballroom, with a separate pre-conference area, spans over two floors. Combined with the opera-style balcony, the space can host up to 750 delegates in theater seating, making this hotel one of the biggest conference hotels in Europe. 19 break-out rooms are connected with three pre-conference areas, all equipped with high-quality, state-of-the-art technical and media facilities. Our signature free high-speed wireless Internet is available throughout the entire hotel, including public areas. The Den restaurant is set to serve the best of Amsterdam for breakfast, lunch and dinner, while the lounge offers ample space and opportunities for informal meet-&-greets with a drink or two. The Dutch capital is one of the richest cities in the world, when it comes to innovation, diversity and inclusion, historic attractions, and a cosmopolitan lifestyle. There is nothing like Amsterdam. 58% of the population cycle daily on the 881,000+ bikes in the city, which has 165 canals, 8 windmills, 1,281 bridges, 75 museums, 55 concert halls and theaters, 1,325 restaurants and bars, 2,500 houseboats, and so much more. Park Inn by Radisson Amsterdam City West is managed by Radisson Hospitality AB. Αναρτήθηκε από geop στις 4:54 π.μ.